Man-made EMFs (electro-magnetic frequencies) have a chaotic energy and different frequency than natural EMFs and can disrupt or distort organic energy patterns. It is precisely this ability to distort human energy patterns that causes artificial EMFs to be hazardous. Human-made EMFs may cause cancer and present other grave dangers to human health. 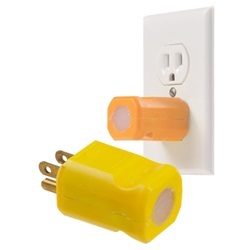 Plug into a standard outlet nearest to the Electrical Panel, transformer, high wattage areas, or cell tower. 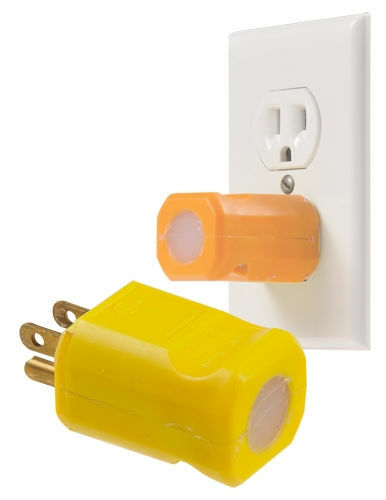 The color may be yellow, orange or gray, whichever color we receive from the manufacturer.